Any time you travel to Costa Rica your best bet for getting cheap airfare is to know a good deal when you see one. The second most important thing to know when shopping for flights is that cheapest is almost never the best. The third and maybe most important is that finding the least expensive tickets may not be worth the effort. Lastly, using a Public Library computer to search flights may be better…unless the library is in a really nice neighborhood. The single most important criteria for saving money on flights to Costa Rica is schedule flexibility. The most expensive flights are on weekends near holidays. A Tuesday flight ten days before Christmas might be 75% cheaper than a Sunday flight four days before the holiday. When bargain fares appear they often sell out in hours. To save big book immediately then request the time off later. Expedia/Travelocity/Orbitz (same results with different names as TripAdvisor), Priceline, CheapoAir, Hotwire and dozens of others both well known and obscure. Three aggregators stand out for ease of use, quickly finding the lowest fares on the most reasonable flight schedules. While they are obviously still trying to make a buck they tend to be a bit less intrusive about it. Our favorite is (and has been for years) kayak. Google is fast and includes and a helpful lowest fare in a 60 day window feature for browsing around without fixed dates. Less known, momondo ranks high on other lists but we haven’t found anything there that would make us switch. Southwest Airlines – Unless you choose to fly first class Southwest is so much better than any other U.S. airline it’s ridiculous – excellent service, great schedules, low prices, good airport selection, no luggage fees, no change or cancel fees, and comfortable newer equipment (see details). Despite being consistently at or near the lowest cost Southwest flights do not show up on any of the search engines – they only sell tickets directly or through licensed travel services or agents. If you’re not near a Southwest airport then you probably already have one or two other favorite airlines that you prefer based on convenience, mileage programs and past experience. Skip the Expedias, search directly on your airline and then use the list of “good deals” below to see if your favorite offers reasonable prices. The biggest problem with most searches (and ratings of fare searchers) is that finding the cheapest fare is the main criteria. In reality many factors add up to the best flight – departure and arrival times (bad scheduling costs money and vacation time on the ground), stopovers, reliability, even choices of in flight entertainment (sharks on planes!). Even the type of stopover can make a huge difference; changing planes provides an opportunity for lost luggage or a missed flight that a same plane stopover does not. A search that finds the cheapest flight every time is pretty useless if that flight has 3 stops (including Reykjavik) on “Fly by Night Airways” who charge $45 extra to use the restroom and arrives at 3:12 a.m. at the “wrong” airport. Just plugging in a couple of airport codes may show some amazing fares but applying a few reasonable filters will return more realistic results. A non-scientific and random sampling of a dozen websites revealed that while each has it’s own gimmick (Hipmonk down rates flights with “agony” factors like long layovers and promotes “ecstasy” like non-stop) each offers the same tools to “tune” any search to actually find what you really want. Once you go to the effort of creating a filtered search activate the “fare watcher” feature for both San José International (SJO) and Liberia International (LIR) and cross your fingers. Actually finding fantastic fares ($69 each way from Denver is our lowest) is usually a matter of luck and it’s clear from the recommendations above that finding a good fare that meets your other criteria requires effort. 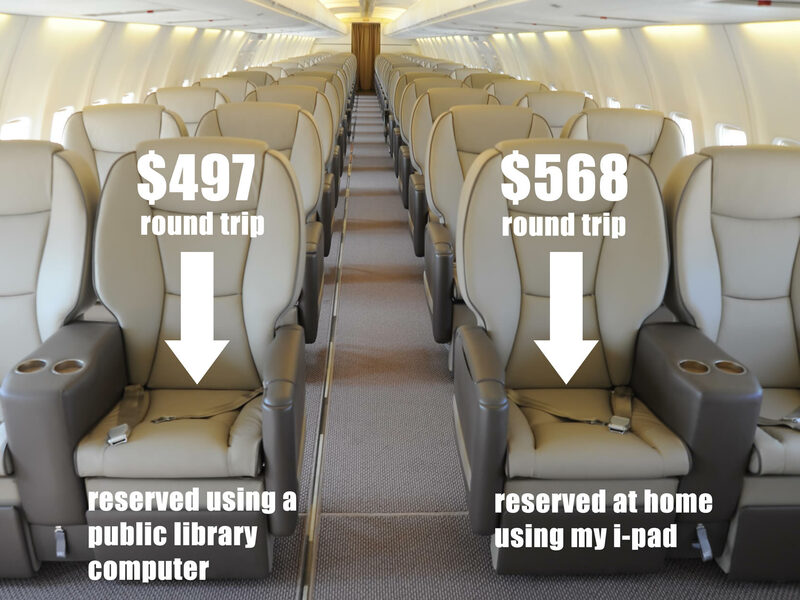 The difference between average, good and great prices usually isn’t much more than $100 and sometimes searching, researching and waiting backfires with rising fares. What is a Good Deal? To get an idea of the best fares, first find your city below, then read the approximate fares (2-6 month advance purchase, round trip, including all taxes and fees). If a city appears in two lists it’s because it varies a lot. Most flights from these departure cities require one stop and the total fare tends to depend on the fares to the domestic stopover city. These cities all have direct flights to either SJO (San José International) or LIR (Liberia International) or both which generally means prices are lower. Canada – Fares vary wildly from Canada but generally it’s fairly expensive compared to the U.S. Some Canadians have told us they do better avoiding U.S. stopovers (TACA, AeroMexico). Others have told us the opposite. They all agree that if they can drive to a U.S. airport they can save a lot. Europe & the Rest of the World – We can’t even begin to deconvolute the possibilities and make generalizations about fares. The best approach is to start looking around early and educate yourself about prices from your corner of the world. Remember these are average prices. That means that for everyone who saves a hundred bucks someone else is paying a hundred bucks more than the price displayed. If you start looking early, your dates are flexible and you can travel mid week you’ll have a better chance of getting or beating the average. We’ve been purchasing flights to Costa Rica for twenty five years. One of the most amazing things is how cheap it still is to fly to Costa Rica from the U.S. (and to a lesser extent Canada). While the cost of other international flights from North America have approximately tripled, the costs for Costa Rica have barely changed in a quarter century. 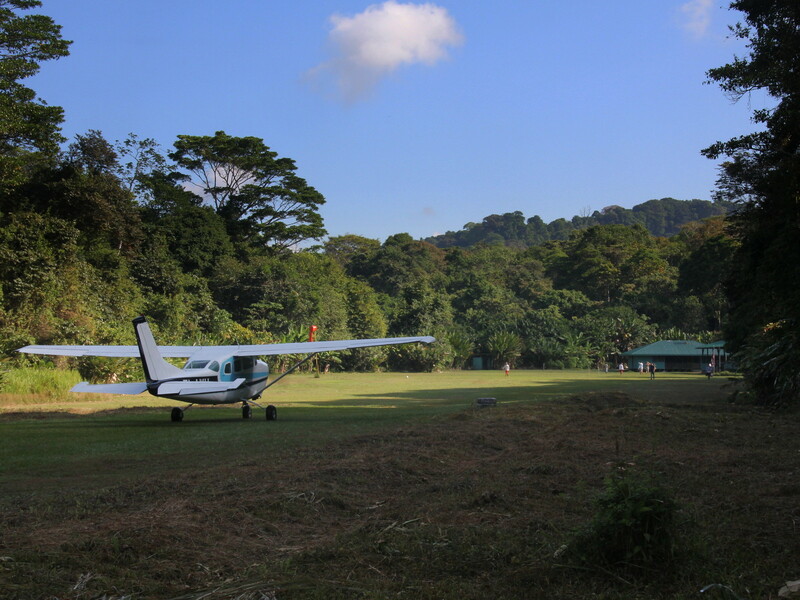 The popularity of Costa Rica has increased immensely and more airlines are competing with many more flights. Important Pricing Note: As of mid 2018 most airlines are including the $29 departure tax but some still do not. This can make a cheaper fare look more expensive. For example on a recent search United Airlines total price was $509 and Spirit Airlines $499 but the Spirit price did not include the departure tax so the comparable total was really $528 Spirit, $509 United. Please see Departure Tax and Is It Included? for more information. Unlike domestic flights where purchasing far in advance is often the best way to get a cheap flight we’ve noticed that sometimes prices start high for six month advance purchase but drop by as much as 50% two to four weeks ahead when seats are still available. Perhaps this is because people are willing to pay more for the security of knowing they have a flight and can make hotel and activity reservations. Don’t wait until the last minute to book for a planned vacation – you could end up paying way more or losing deposits on lodging etc. if you decide airfare is too expensive. However, if you’re thinking about flying to Costa Rica on the spur of the moment the airfares might pleasantly surprise you. While hotel, rent a car, domestic flights and tour prices certainly decrease in the off season airfare to Costa Rica doesn’t necessarily. Airlines cut their capacity dramatically and some even stop flying altogether instead of operating partially full flights or offering bargain fares. There may be a few deals around but overall airfare tends to be similar or even higher in the low season. The same search done at the same time by different people using different computers in different places may result in different prices – it’s called dynamic pricing. Frommer’s recently published an article noting that searches from computers located in affluent zip codes resulted in higher priced hotel rooms on some of the major travel websites. This isn’t a new phenomenon and may apply to airfare as well. In 2012 the Wall Street Journal found that Orbitz increased travel prices by 30% for Mac users. However, in 2017 and 2018 the White House issued executive orders significantly reduceding individuals rights to protect their information in the U.S. and allowed internet service providers to offer personal data for sale on the open market. Cookies, browsing history, the content of e-mails, credit card bills, credit history and dozens of other data sets may be used to determine your personal dynamic price for nearly anything. “That should be illegal!” is a common response to the idea that this data is used not only to target potential customers for specific advertising but also to steer them through search and shopping processes towards decisions that maximize profit. 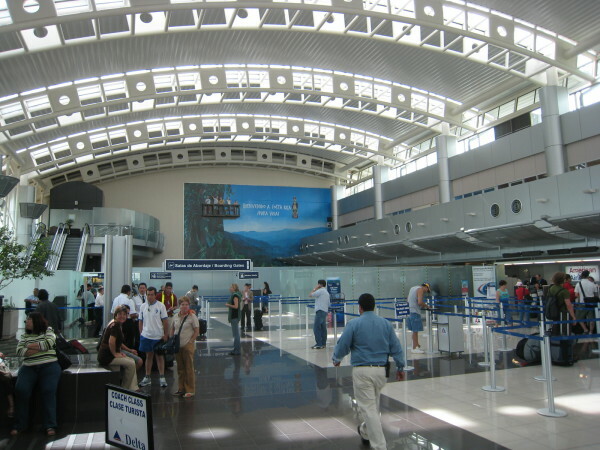 Which Airport is better – LIR in Libera or SJO Outside of San José?